At TRISTAR, we realize how demanding life’s busy schedule can be. That is why we are committed to developing technologies that deliver stress-free solutions to some of the challenges you face. Because we know our clients rely on us to provide quality care to their employees during life changing events, identifying a way to offer a simplified service on an enriched platform is one of our top priorities. We see managing benefits for over 10,000 people as a great opportunity to develop new ideas to help them quickly get back to what is most important to them. 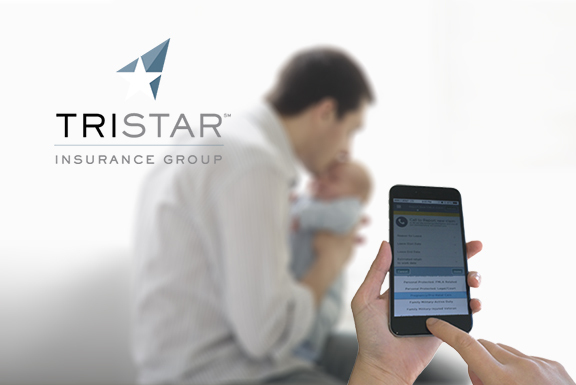 Embracing this commitment, we are proud to debut the TRISTAR Mobile Claims App. It allows users to instantly manage their leave of absence benefits with the convenience of interactive mobile technology. “In today’s hectic environment, covered employees don’t always have time to call in leave updates or wait for someone to look up their claim. The new TRISTAR Mobile App allows them to manage their leave on the schedule that best suits them. ” mentioned Matthew Craig, Sr. VP of Business Development. The first version of the TRISTAR Mobile App is now available on both Android and Apple iOS devices. Plans to expand the Mobile App to include other services are in the works. Look for version 2.0 in Spring 2015.